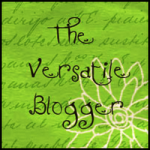 Home » Blog » Herbs On Saturday For May Is Now Open! I am really excited to be hosting Herbs On Saturday this month for the lovely Karen from Lavender & Lovage. It’s a brilliant recipe sharing blog challenge that I enter every month, sometimes more than once! So it’s a real honour for me to take the reigns for May. 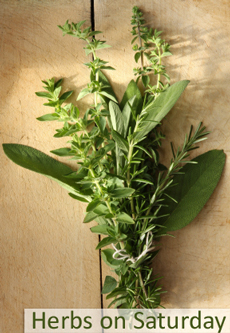 The basic principle of the challenge is to submit recipes that use herbs. And who doesn’t love herbs? They can transform a recipe into something really special, adding a zing or scent that lifts and enhances the final dish. And being in the throws of Spring, I find that I want to throw handfuls of fresh vibrant herbs into almost everything! Each month this challenge has many fabulous entries and one is chosen to receive a book as a prize. Details of this months prize will follow shortly. The round up for April is here and is as usual, full of stunning recipes so well worth a read! 1. Post your recipe url to the Linky at the bottom of this post, including your email and the title of your recipe or post. 2. Display the Herbs on Saturday badge (as shown above and below) to the relevant recipe post, with a link back to the monthly challenge post HERE and to Karen at Lavender and Lovage. 4. If you tweet your post, please mention #herbsonsaturday, @KarenBurnsBooth and @Delicieux_fr in your tweet – We will retweet all that we see. 5. The recipe can be one of your own or one you’ve seen elsewhere. You are welcome to republish old recipes/posts but please add the information about this challenge as listed above, along with the Herbs on Saturday badge. Epic Round Up: Herbs On Saturday Cooking Challenge for May! 34 Comments on "Herbs On Saturday For May Is Now Open!" Lovely Anneli, I hope I can enter something this month! Looks like fun Anneli – I’ll have to see what I come up with this month…I know a herb I’d love to cook with… maybe this will be the inspiration I need! Hi Anneli, I’ve added a link to my herby Yorkshire puddings for this month’s herbs on Saturday. Hope you have lots of fun hosting the challenge! Great Anneli I will add my fougasse recipe that I posted yesterday as it has rosemary in it. Am also looking at your post on the Swiss Chard Panade and thinking I must try that out it sounds super! I’ve entered a ‘wild’ herb recipe. What a wonderful blog! I love your recipes! I have entered my pork chops in herbs and beer sauce. Linked up. Thanks for hosting. Thank you Chef Thilak. Thanks for popping by. I am glad to enter my recipe into Herbs on Saturday and discover your beautiful site. I see so many other great recipes linked to May challenge, I am looking forward to the round up!! Just added my Wild Garlic and Chilli Sweretcorn Fritters! You are doing a GREAT job Anneli! I’ve just entered my dandelion honey. it’s always good to discover new blogs and I’m just off for a look around yours. Hi Anneli, thank you for hosting this month’s challenge. It is great to have found your blog. This month’s entry was aso a personal challenge to try and recreate a delicious sauce I had at a food festival. I think I got it pretty close to the real thing, I hope other people enjoy it. I have just popped my ricotta gnocchi with spring bits and bobs on to the linkup. I have only recently found your blog and am delighted with such gorgeous and inspiring recipes. And of course, thank you for hosting Karen’t herbs on saturday challenge this month.